Individualized hands on scanning instruction at our facility in Monterey, California. 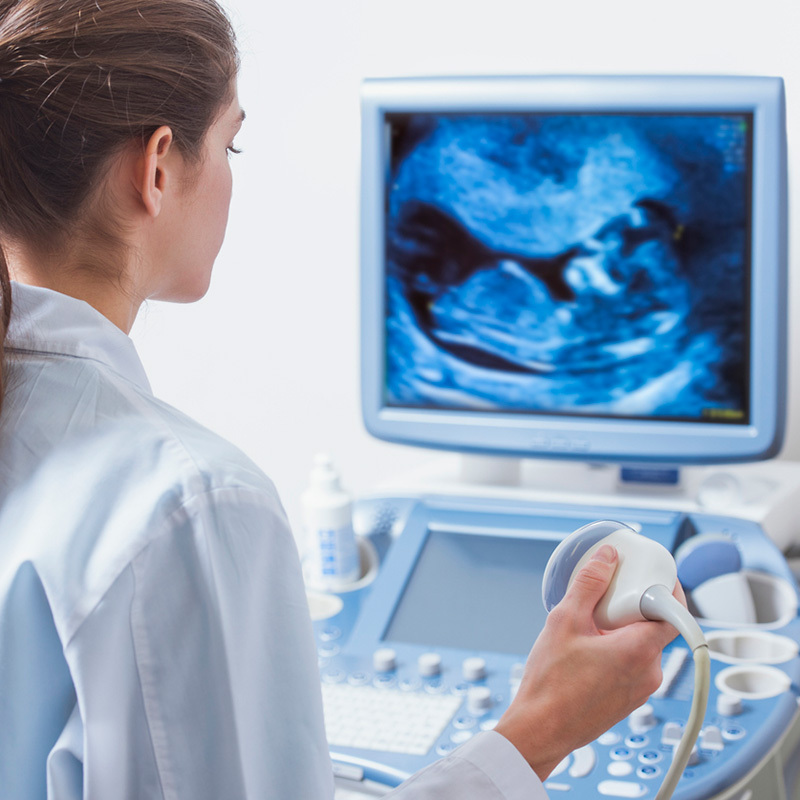 We have combined hands-on scanning sessions with online lectures and hands-on scanning videos to provide a comprehensive approach to learning OB GYN ultrasound. Students will receive immediate access to online lectures to watch at their convenience before the hands on session. These lectures include foundational information in ultrasound physics, anatomy, scanning technique, pathology and terminology. Access to these lectures will be for one year. The hands on scanning session will take place at our Monterey, CA training center. All scanning sessions include first through third trimester patients. Transvaginal scanning on actual patients is included. We do have a phantom for practice but we feel that scanning on live patients provides the most benefit in learning the technique for endovaginal ultrasound. We cover the first trimester exam including CRL measurements, M-mode, uterine position, ovaries and adnexa. The second trimester exam review depends on class demand. Third trimester growth, biophysical, AFI, cervical length, and placenta location are included. 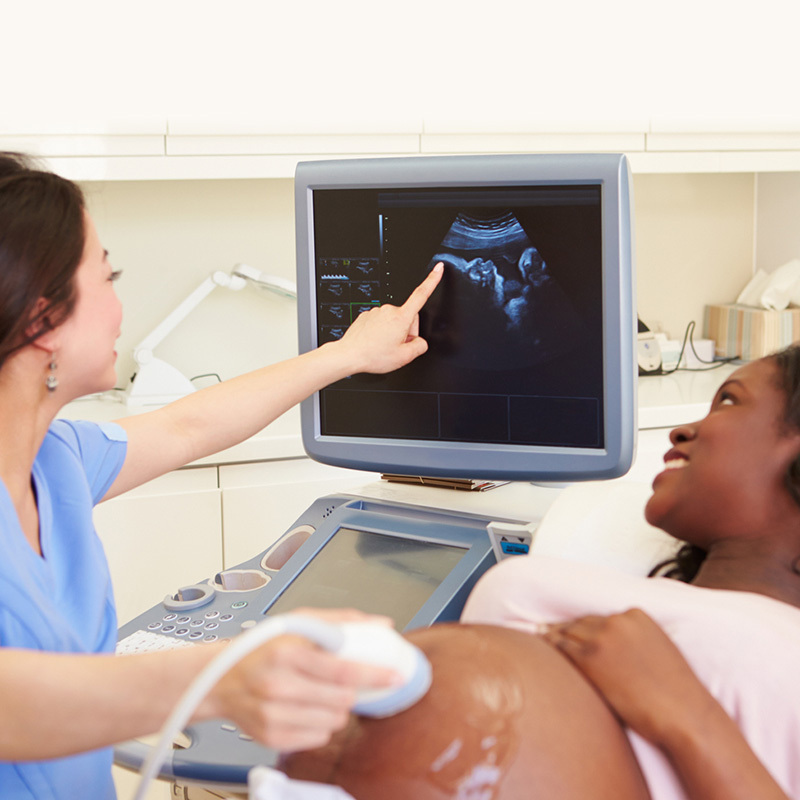 This course consists of 12 AMA PRA Category 1 Credits™ This course fulfills the ARDMS continuing medical education requirement to apply for the ARDMS Midwife Sonography Certificate. The presentational method for this activity will be video presentation of Lecture, Case Study Review, Hands-on Demonstration, Simulated or Live Patient, and Lab Exercises. This activity is geared to meet the educational requirements of OB/GYN and Primary Care Physicians as well as Nurse Practitioners, Nurse-Midwives, and Physician Assistants. This activity will encompass the following desirable physician attributes: Patient Care & Procedural Skills, Medical Knowledge, Professionalism, and Practice-Based Learning & Improvement. Physicians should claim only the credit commensurate with the extent of their participation in the activity. This activity has been planned and implemented in accordance with the accreditation requirements and policies of the Accreditation Council for Continuing Medical Education (ACCME) through the joint providership of PeerPoint Medical Education Institute, LLC and Sonosession, LLC. The PeerPoint Medical Education Institute, LLC is accredited by the ACCME to provide continuing medical education for physicians. Michele Claussen (BS, RDMS, RVT) graduated from the University of Nevada-Reno with a Bachelor Of Science in Biology. She completed her ultrasound training from the Penrose School of Diagnostic Imaging in Colorado Springs, CO, and has worked as a sonographer for over 20 years in the hospital and clinic settings. For several years, Michele worked in Sales and Applications, training physicians and sonographers on ultrasound systems. Her current clinical focus is in areas of Women’s health and Fetal Imaging. She currently holds registries in Abdomen, OB/Gyn, Fetal Echo, Vascular, Breast Imaging and certification in Nuchal Translucency ultrasound. Michele has been teaching physicians and nurse midwives ultrasound for the last 10 years. She loves to spend time in, on or near the ocean with her family. Sabrina Speer (RDMS, RCDS) completed her ultrasound training from Sanford-Brown Institute in Dallas, TX, after attending New Mexico Junior College and College of the Southwest. She has worked as a diagnostic sonographer for the past 12 years and holds registries in Abdomen, OB/Gyn, Fetal Echo, and is certified in Nuchal Translucency. She has spent several years in Applications, training Physicians, midwifes, and sonographers on ultrasound systems and advanced technologies. Her current clinical focus is in Women’s Health, specifically perinatology.